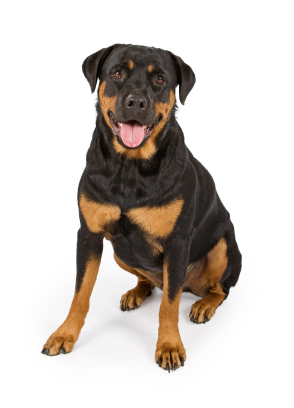 Police say a barking dog is a great way to deter burglars from robbing your home. This dog never needs food, water, or to be taken for a walk. Our Barking Dog is the ideal watchdog because he does what even the best living and breathing watchdog can't do. The electronic watch dog can "see through" thick doors, walls, and glass windows. And once his cord is plugged into any standard 110 VAC electrical outlet, he'll stay on duty around the clock, indefinitely. The electronic Barking dog can protect homes, apartments, mobile homes, RVs, jewellery stores, hotels, factories, warehouses, public and private buildings of virtually every kind including your office. your family a deterrent sound that goes a long way with a burglar. Rex Barking Dog sees through walls using radar technology. all the annoying problems that go with owning a real dog. Listen To Dog Bark Now!! * Plugs into any standard electrical outlet. * Reliable 24 hour German Shepard protection. * User Control volume control. * The closer an intruder gets the louder and more frequent the barking. * Perfect for all public and private buildings and residences . * Switches from watchdog mode to tranquil sounds of nature with the switch of a button. * 'Radar' activated alarm/alert system. 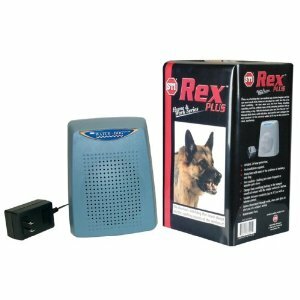 Rex Plus® is the electronic watchdog that never sleeps and the soothing sounds of the rainforest! Choose from four settings: continual tranquil sounds of the rainforest, alert sound of an angry and protective watchdog, soothing sounds to alert you of a guest's arrival, and alert sounds of both the angry watchdog and a warning siren. Rex Plus can "see" through thick doors, walls and glass. Once you plug his cord into any standard 110-VAC electrical outlet, he'll stay on duty around the clock. Ideal for homes, apartments, mobile homes, RVs, jewellery stores, hotels, public and private buildings of virtually every kind. Our Watch dog is an amazing device like having a real Doberman that never sleeps. Our watch dog alarm is always on duty to protect your ownership and be on guard of your safety. By advance radar technology, our watch dog alarm detects the intruders through any thick door, wall or window glass. When an unexpected visitor just walks up to your home and approaches the target area, the watch dog immediately emits the sound of a very ferocious dog. The sound works to deter the intruder and also alerts the house owner and family that possible danger is lurking around.